I had it for supper! A hard cover copy of Bill Granger ~ Holiday! 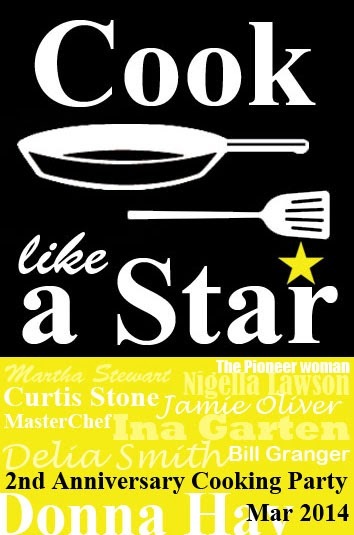 Wanna cook or bake like Donna Hay, Barefoot Contessa, Jamie Oliver, Masterchef, Martha Stewart, Delia Smith, Curtis Stone, Nigella Lawson, Ree Drummond and Bill Granger? To join, simply cook or bake any recipe from their websites or cookbooks and link with us at this Zoe's, this Joyce's or this Mich's post for the whole of March and April 2014. This is sinful, might have to serve for a special breakfast for dinner one night!